﻿ Raido's Stuff - PS2 - Simple 2000 Series Ultimate Vol.15: Love Ping Pong! 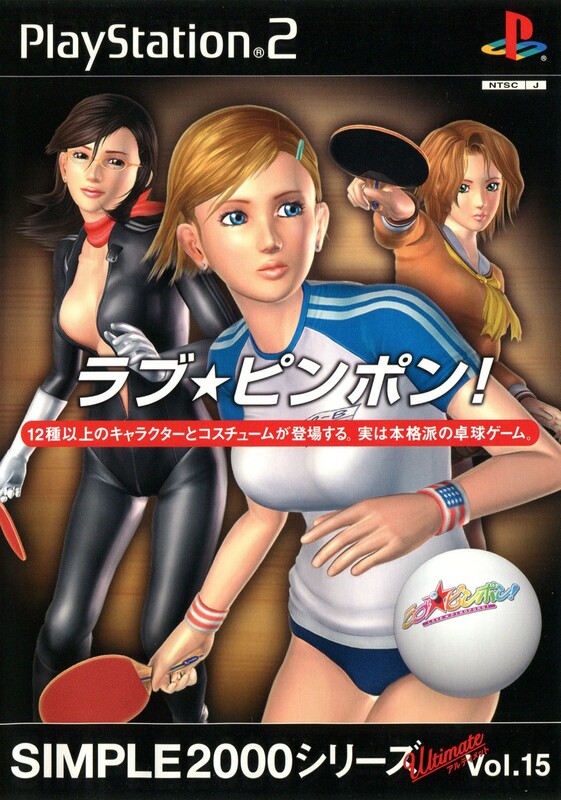 English Title: Simple 2000 Series Ultimate Vol.15: Love Ping Pong! 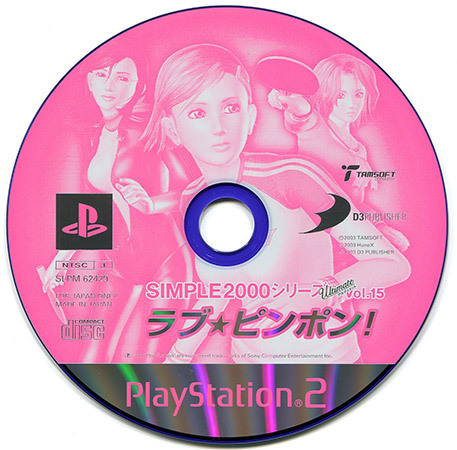 Japanese Title: SIMPLE2000シリーズ アルティメットVol.15 ラブ★ピンポン! Amazingly, this isn't all-female ping pong like you might guess from the cover. That's right, there's a single, token male character who has no defining characteristics, no alternate outfits, and no voice, who is obviously intended as a cypher for the player. Of course, this is also a game where one of the unlockable items is bra padding. Unlike HuneX's Love Smash, Tamsoft actually managed to provide a vaguely playable game here. There's not much depth to it, but it plays a serviceable game of ping pong. Got a PAL release under the cringe-inducing title Pink Pong.